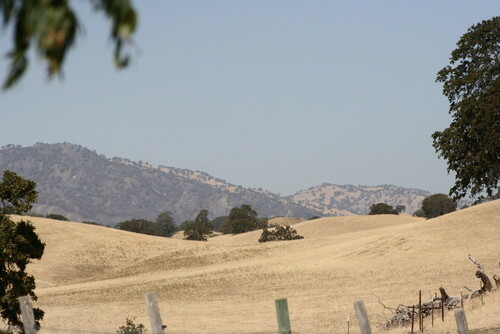 Tucked in the golden, rolling hills just north of Vacaville, California, Menagerie Hill Ranch is a small, family run alpaca ranch. Deb Galway and Kirk Howard, the owners and operators, started keeping animals with just a few sheep to keep the grass down some twenty years ago. This spring, a neighbor's 4th grade daughter came for a visit. 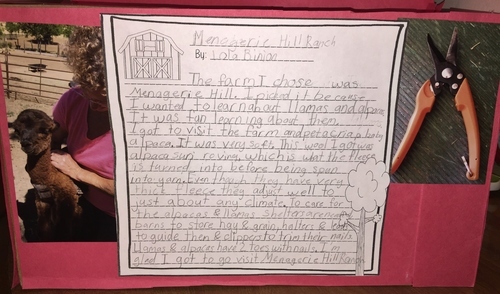 Her class had an assignment to visit a farm and learn about what they do and how they operate. 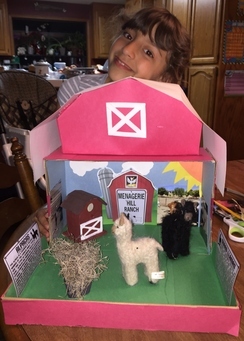 Then they were to build a diorama and write a report. 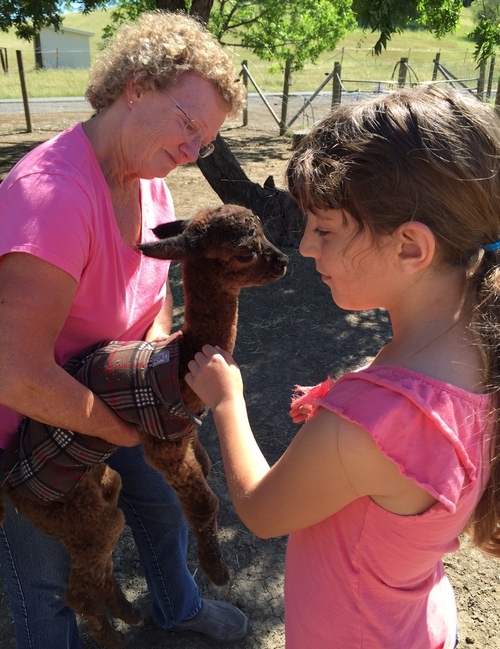 Lola had a lot of fun learning about the farm and the alpacas and loved how soft the fleece is. Check out the pictures of Lola's Diorama and report. It is too cute! Home Schoolers Visit the Farm! This weekend we had some home schoolers (and their moms) visit the farm. They had a great time and one of them wrote a report on their visit. We thought it was cute and decided to post it below. Hi, my name is Kaitlyn. I am a student at Heritage Peak, in Vacaville. My mom is in love with knitting. She decided that she wanted to make a shawl out of alpaca yarn, and when I say alpaca yarn I mean the alpacas hair that gets turned into yarn. 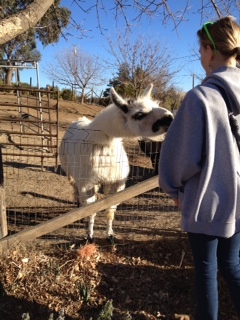 So we went to an alpaca farm called Menagerie Hill Ranch. 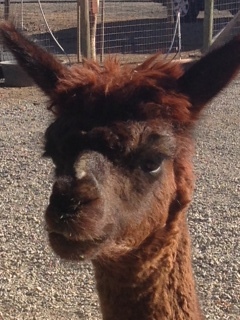 The owner of the alpaca farm, Deb Galway, showed us the yarn from the alpacas. I touched the alpaca yarn and oh it is as soft as a baby’s skin! 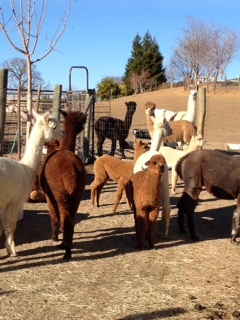 Then Deb showed us all the alpaca boys and girls! You would think that the alpacas were friendly but, they are actually pretty shy, and when I say shy I mean they were bunched up against the fence trying to make some distance from us. 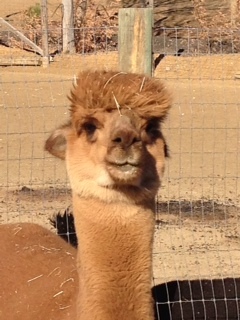 Next we saw a lama. We were told that the lama protects the alpacas from any harm; because if a coyote tried to attack them, one kick from the lama and the coyote would be dead. Now that is a pretty strong kick! I started to get a little worried though, because Deb had told us that, if the lama felt at all threatened, that it would spit up its cud which is the food that comes back from the stomach and comes out on you! I felt relieved though when she said that it only happened to her once. I was so happy to learn so much while also having fun. Deb Galway was really nice and told us some things about alpacas that I did not know! 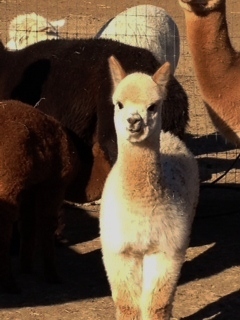 I cannot wait to go back to the alpaca farm and see what other adventures are awaiting. •Lighter than sheep's wool. 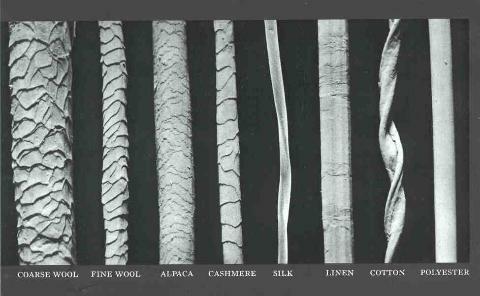 Garments are lighter and more comfortable. •Warmer than sheep's wool. The hollow shaft actss an insulator to hold in body heat. •Hypoalergenic. The hair structure does not have barbs that can prick your skin. •Not covered in lanolyn that must be chemically removed during processing. Any remaining lanolyn gives the item an odor. •Does not absorb moisture so your skin stays dry. •7 times stronger that sheep's wool. Products can last for years. 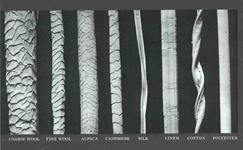 •Resists piling and abrading. Products look good after lots of use. 1. Gaston Textile College, NC 2009. 2. Alpaca Blanket Project, 2012.